Made in Solingen, Germany Wusthof have set the standard for designing and manufacturing precision forged knives since 1814. Renowned for their uncompromising quality in the art of knife making, each Wusthof knife is precision forged from a single piece of specially tempered, high carbon, stain resistant steel. The result is a razor sharp edge that stays sharper for longer. 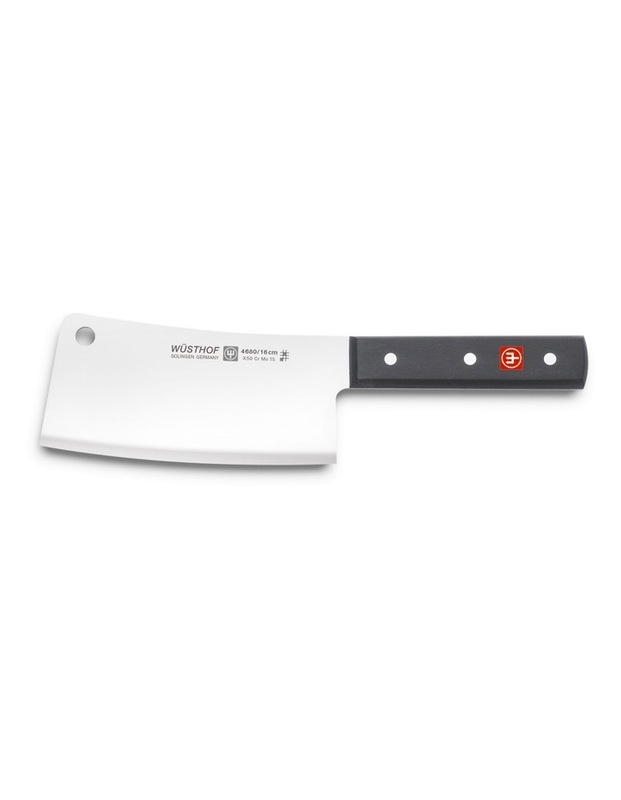 The Wsthof Cleaver is a "must have" when it comes to splitting bones as you need a certain weight and blade- thickness to do so. Lifetime warranty on all manufacturing faults and defects.